Paul Hitch retired more than 40 years ago as chief engineer of Chevy Trucks, but he never goes a day without talking about the Detroit automaker where he spent decades building vehicles. Looking for a new truck? Call our customer care team at 630-898-9630 or visit our website 24/7. So Hitch, who turned 101 on March 2, naturally remembered that Chevrolet was celebrating its own centennial this year. He mentioned to his son how much he would like to speak with company executives, possibly even the man who currently holds his old position. A few phone calls were made, and on March 26, Eric Stanczak, the current chief engineer of Chevy Trucks, knocked on the door of Hitch’s home in Savannah, Georgia. The highlight of the meeting came when Hitch and Stanczak spoke by FaceTime with Mary Barra, the CEO of GM, who called from her office in Detroit. “Mary wished him a happy birthday, and was so thankful that he contributed so many great things to the corporation,” Stanczak said. Barra’s father, who was a toolmaker at a GM plant, overlapped at the company with Hitch. Very few women worked at GM during Hitch’s tenure, he said, and he hired only one female engineer for his department. Hitch started his career at Chevrolet in 1935, when he was 18 years old. He attended General Motors Institute of Technology (now Kettering University) in Michigan, where he studied mechanical engineering. Four years later he returned home to Indianapolis, working for GM as a junior engineer. “In those days you didn’t have too many choices for a job. It was still the Depression,” he told ABC News. It’s becoming more difficult to find suitable mounting points for license plates on the front of new cars. 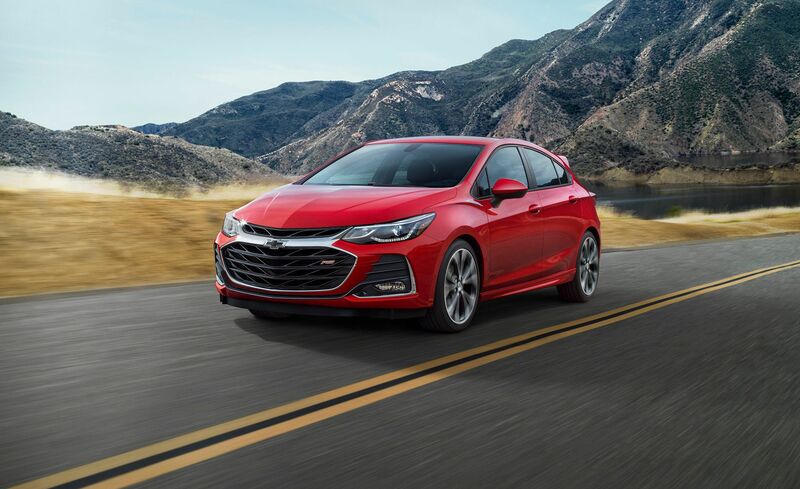 Case in point: the 2019 Chevrolet Cruze sedan and hatchback, which follow the big-grille trend, expanding it further into the bumper. The new grille also sports a curvaceous and highly textured structure that looks too pretty to obscure with a plate. If you have any questions about the 2019 Chevrolet models, please call our Customer Care Team at 630-898-9630. The new front styling more or less parallels the one on the also revised 2019 Malibu and is the most obvious change to the 2019 Cruze. Other changes for 2019 don’t fuss with this compact’s successful visual formula, which has been in place since this generation debuted for 2016. Mildly reworked headlights, taillights (LEDs on the top Premier trim), and wheel designs will be tougher to spot. The RS package now borrows the black window surrounds, badges, and alloy wheels from the Redline package. Inside is Chevrolet’s new Infotainment 3 system, which is a reskinned version of Cadillac’s latest version of CUE. It’s controlled by a 7.0-inch touchscreen that also responds to swiping gestures and is standard across the line. Higher trims with navigation can store and load user profiles from the cloud, allowing transfer of a driver’s home screen, audio presets, saved destinations, and contacts into any compatible Chevy. Wireless software updates and live traffic are also included. Elsewhere, the interior design is carryover, save for a new brown leatherette on the Premier and additional black trim on all models. Chevrolet also is a little more generous with equipment. The Premier now adds automated emergency braking with pedestrian detection to the suite of driver assists (most of which aren’t available on lesser models) and standard automatic climate control. Remote start is now standard on the LT, and a heated steering wheel is a new option. The two engines and two automatic transmissions stay the same, but the six-speed manual is no longer (GM cited a take rate of just a couple percent). The turbocharged 1.4-liter inline-four with 153 horsepower and 177 lb-ft of torque pairs with a six-speed automatic, and Chevrolet is estimating its fuel economy as up to 40 mpg highway for the sedan, 38 mpg for the hatchback. The 137-hp 1.6-liter turbo-diesel with its sturdy 240 lb-ft is expected to offer even better fuel economy, at up to 47 mpg with the diesel-exclusive nine-speed automatic. That’s impressive, except the 2018 Cruze diesel sedan with the manual posted a 52-mpg highway rating. Expect the first 2019 Cruze models on sale by the fall. In states like Michigan where front license plates aren’t required, they’ll look even better. Chevrolet’s cool-looking Z71 Midnight Edition package is offered on Tahoe and Suburban sport utilities, as well as on the Silverado pickups. Looking for a full size sport ute? Call our Customer Care Team at 630-898-9630. Or, visit our website 24/7. Over the past year, I’ve tested Silverado 1500 and Tahoe models with the Midnight package, and this past week, I also got to spend time in the Suburban version, which is 20.3 inches longer than the similarly equipped Tahoe. The Suburban is Chevrolet’s original sport utility vehicle, introduced in 1935 and a star of the Chevy lineup ever since — particularly in Texas, where it’s among the most-popular motor vehicles ever. Like its siblings, the Suburban has great road presence, and is quite hard to ignore. That’s made even more so by the Midnight Edition’s jet-black exterior color, along with blacked wheels and body trim. The Suburban essentially is the same vehicle as the Tahoe, except at the rear. The cargo compartment is extended, giving the Suburban 39.3 cubic feet of cargo space behind the third-row seat — 24 cubic feet more than the Tahoe, at 15.3 cubic feet. The Tahoe/Suburban and its siblings received their last full makeover for 2015, and the Midnight Edition package was added a year later. It’s also available on the Silverado Crew Cab pickup, which is almost the same vehicle underneath as the Suburban and Tahoe — it just has the cargo area turned into an open truck bed. The Silverado Midnight Edition has much the same look as the Suburban and Tahoe versions, with the same black wheels and trim. Our Suburban tester was the four-wheel-drive LT trim level, with a base price of $58,280 (plus $1,295 freight) before adding the Z71Midnight Edition Package ($2,285). With the package came the 18-inch black-painted aluminum wheels, blackwall all-terrain tires, black tubular assist steps, black roof rack, tow hooks, underbody skid plate package, 3.42 rear axle ratio, Autotrac active two-speed transfer case, hill-descent control, front and rear black Chevy bowties, Z71 grille decals, high-capacity air cleaner and Z71 rubber floor mats. The vehicle came with a black interior, too. Also included on our tester was the Suburban Luxury Package ($2,860), which added passive entry with remote keyless start, heated second-row seats, third-row 60/40 split bench seat with power fold, power tilt/telescopic steering column, heated steering wheel, rear cross-traffic alert, lane-change alert with side blind-zone alert, power/heated outside mirrors with turn signals, hands-free power liftgate, front and rear park assist, and front fog lights. We also had a Chevy MyLink audio/navigation system with eight-inch color touch screen ($495) and a power sunroof ($995). Dealer-installed wheel locks were an additional $70. Our Suburban was powered by a 5.3-liter Ecotec3 V-8 engine with 355 horsepower and 383 foot-pounds of torque. It was paired with a six-speed automatic transmission, although Chevrolet now offers a 10-speed automatic with the optional 6.2-liter V-8. With three rows of seats, the Suburban can carry up to eight passengers — two up front, and three each in the middle and third rows. But our tester came with power second-row bucket seats ($795), which replaced the second-row bench seat, and cut the passenger capacity to seven. The 39.3 cubic-foot cargo area behind the third row is big enough for luggage and sports gear for a long family trip. With the third row folded, it expands to 76.7 cubic feet; and with middle and rear seats folded, there is 121.7 cubic feet of cargo space. For 2018, Suburban prices begin at $50,200 (plus freight) for the base rear-wheel-drive LS model. It’s available with four-wheel drive at all trim levels. There is a rotary dial on the dash to the left of the steering column that has setting for 2WD, Automatic, 4WD High or 4WD Low, which is a low-range setting for serious off-road driving. The Suburban is a very pleasant highway vehicle, with a quiet cabin, smooth ride, and a more-efficient powertrain than the previous generation. It has a 31-gallon fuel tank, compared with 26 gallons for the Tahoe. EPA ratings for our four-wheel-drive tester were 15 mpg city/22 highway/18 combined. During our week in the Suburban, with about a 60-40 mix of highway-city driving, we averaged just over 18 mpg. Among standard exterior features are Intellibeam headlights, rain-sensing wipers, a 17-inch steel spare wheel/tire, and trailering equipment. Inside, the heated leather front bucket seats were quite comfortable, with power adjustments for driver and passenger. There were power-adjustable pedals, with memory for the driver’s seat and the pedals. An auto-dimming rearview mirror was standard, along with tri-zone automatic climate control, universal garage/gate opener, and Bose premium audio. 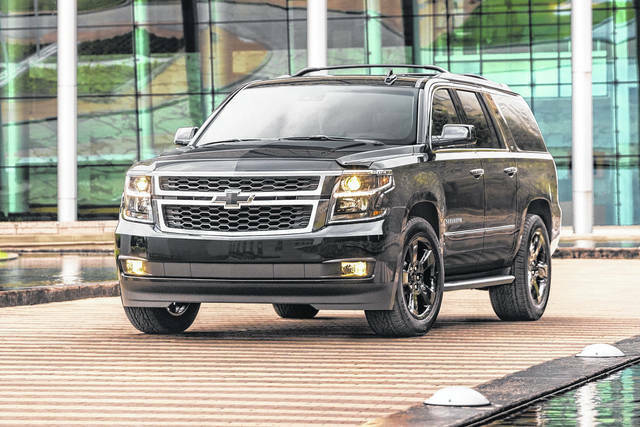 There was plenty of power from the 5.3-liter engine, and with the four-wheel drive, the Suburban can tow trailers weighing up to 8,000 pounds. To help boost fuel economy, the engine has technologies such as direct fuel injection, continuously variable valve timing and an advanced combustion system. Among other suspension and mechanical features are a coil-over-shock front suspension, five-link/coil-spring rear suspension, a wide rear track, electric power steering, and standard automatic-locking rear differential. Included on all models is a four-wheel antilock disc-brake system featuring the GM Duralife brake rotors, designed to last twice as long as conventional rotors. For connectivity, the Suburban has a 4G LTE Hot Spot (built-in Wi-Fi) that’s active when the ignition is on, allowing everyone in the vehicle to connect to the Web. Our vehicle also had GM’s OnStar system and SiriusXM satellite radio. We had a 12-volt DC and two USB ports in the cubby in front where there is a small open cubby perfect for portable devices; there is also a nifty hidden compartment behind the audio-nav touch screen, opened by a touch of a button below the screen, with a USB port inside. It’s perfect for hiding away your smartphone. There were two USB ports, an auxiliary input and another 12-volt outlet inside the center console, which also doubled as an armrest for the driver and front passenger. In the center console are dual cupholders. Middle-row passengers had a cupholder and bottle holder in each door, while third-row passengers had two cupholders in the tops of the wheel arches. There were seatback pockets on the front seats, accessible to the middle row, and there were also air conditioning controls, a 115-volt AC outlet, and a 12-volt outlet for the rear passengers. Safety features include front and rear automatic braking, which uses radar and ultrasonic sensors to help avoid low-speed collisions; GM’s Safety Alert driver’s seat; and a backup-camera system. With $7,500 in options and the freight charge added to the base price, the total sticker price for our 2018 Suburban LT Z71 Midnight Edition four-wheel drive was $67,075. Thanks for reading about Chevy Suburban’s z71 midnight edition. DETROIT — Chevrolet says cars are still an important of the auto industry so it’s strengthening its car lineup with premium, sporty styling, enhanced features and expanded choices for the 2019 Malibu, Cruze and Spark. The Chevrolet Cruze is built at the General Motors Lordstown Assembly Complex where 3,000 work. Want to know more about the 2019 Cruze? Call our Customer Care Team at 630-898-9630. Or, visit our website 24/7. The 2019 Cruze, Malibu and Spark will offer a wide variety of trims, packages and models — from entry level to high end — to meet the needs of today’s car buyers. Specifically, the 2019 Cruze will have an updated front fascia, new interior color options, a new infotainment system utilizing a standard 7-inch diagonal color touchscreen and expanded availability of remote start and automatic climate control, which are now standard on LT and Premier models. The 2019 Chevrolet Malibu, Cruze and Spark go on sale later this year. 0% apr for up to 72 months on new 2018 Suburban and Tahoe models. Over 20% off MSRP on select new 2018 Cruze and Malibu models. 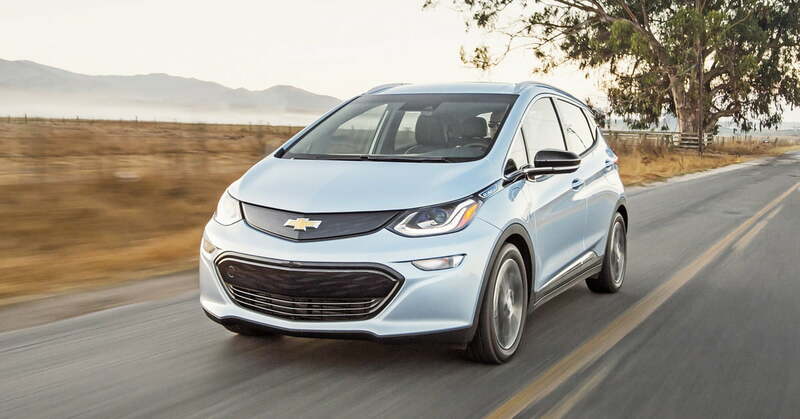 Author WestphalChevyPosted on April 6, 2018 April 6, 2018 Categories NewsTags April Chevy Incentives, ron westphal chevrolet blog, Westphal Chevy BlogLeave a comment on New April Incentives!